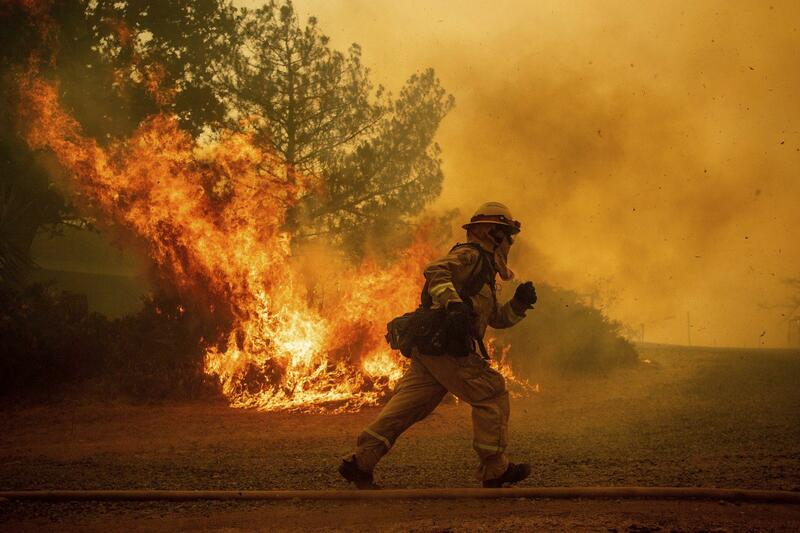 More then a dozen large wildfires are burning in California and a heat wave continues to grip much of Europe, where temperatures are expected to reach 118 degrees Fahrenheit in parts of southern Spain by the end of the week. How much of this summer’s extreme weather can be attributed to climate change, and what role do news outlets play in drawing that connection? Here & Now‘s Jeremy Hobson talks with Michael Mann (@MichaelEMann), distinguished professor of atmospheric science and director of the Earth System Science Center at Penn State University. 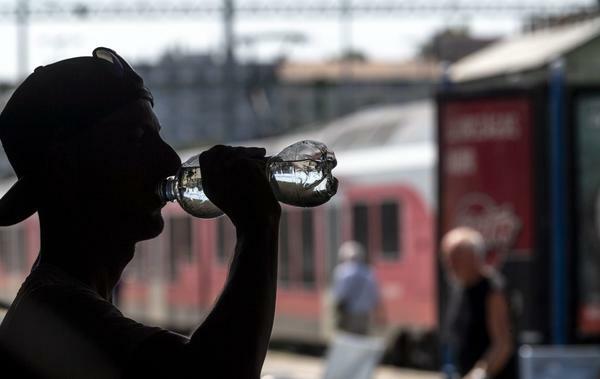 “What we’re seeing right now across the Northern Hemisphere is extreme weather in the form of unprecedented heat waves, droughts, floods, wildfires. In isolation, it might seem like any one of these things could be dismissed as an anomaly, but it’s the interconnectedness of all these events and their extreme nature that tells us that we are now seeing the face of climate change. The impacts of climate change are no longer subtle. “When we frame the issue in terms of, was this event caused by climate change, that’s not the right question. The question is, was this event made more extreme by climate change? And that we can conclude with some certainty, because there’s basic physics that’s operating here. A warmer atmosphere holds more moisture. That means when you get rainfall, you get more of it in short bursts. “As you bake the ground with sun and heat, you’re going to get worse drought. As you warm up the planet, obviously, heat extremes become more common. “Part of what has made this July so unusual is not just the extreme nature of these events, but their persistence, the fact that the same weather system sticks around day after day so you continue to get dumped on by rain, like we are here in Central Pennsylvania, or you continue to be baked by heat, like California right now. “There are media outlets and there are journalists who are helping us connect the dots, but too often in our mainstream media and network news coverage, cable news, they’re not connecting the dots. There is some talk about the extreme nature of these weather events, but there’s a real teaching opportunity, there’s a real learning opportunity for the public in connecting the dots and explaining that this isn’t just a random event; it’s part of [a] coherent larger pattern, which is being impacted, which is being influenced, which is being made more frequent and more intense by climate change. “We need to reduce our emissions, not reduce our emissions standards, which is what the Trump administration wants to do. And sure, the rest of the world is moving forward, and states — the West Coast states, the New England states — cities, companies in the U.S., pretty much everybody else across the planet is on board. And that’s why we had this monumental agreement a few years ago, the Paris Accord, which commits the countries of the world to carbon emissions that will help us avoid catastrophic warming of the planet.